It is something we all fear. We return home from a hard day at work or a relaxing holiday only to find that our home has been invaded by outsiders. This feeling of violation for victims of burglary can last long after the crime has been “tidied away” and friends and colleagues seem to have all but forgotten about it. You no longer feel safe in your own home. This is a scary concept when for the average Englishman “his home is his castle”. It is, after all, supposed to be a sanctuary in which one can shut the world out, switch on the television and have a cuppa. General trends over the last few years have shown burglaries in England and Wales seem to be generally on the rise, with property thieves becoming more and more ‘professionalised’. So while other types of crime are on the decrease burglary seems to be steadily rising. Despite these worrying statistics there are a number of things that can be done to ensure your home is kept safe. It may seem logical, but having properly fitted window locks and deadbolts is a good idea. However, if the easiest way to enter a property is simply to smash a window, then a burglar will probably do it. Home security systems have been proven to be an effective deterrent for burglars, particularly if such a system is monitored. These days such systems are easy to set up and are not as expensive as one might think; with monitoring costing as little as one pound per day and that’s 24/7, 365 days a year. It is also logical that the less your house is at risk from invasion, the more likely those pesky insurance companies will give you a lower rate; thus making a home security system a financial benefit for homeowners. Any burglar worth his/her salt (we’re equal opportunists here) is bound to research any property he/she is thinking of robbing. Therefore if he can see that a system is in place with monitoring he is going to think twice about it. However, should he/she so bold and make such an attempt, the company who installed your system is set up to alert you via messages on your mobile or tablet and they can telephone the police should the situation require it. It is also worth mentioning that having security lights that are operational is a good deterrent. No robber wants to be seen and good lighting is more likely to alert other street residents. This makes the likelihood of a neighbour phoning the police far greater and thus the chance of any burglar being caught is increased. Along with security lights, it is a good idea to have motion sensors, which can notify you as well as the company monitoring your property; of any unusual activity. Such systems are easy to use and can be triggered using a key or a pin number on a keypad. The same would apply to deactivation. It would be unrealistic to feel that any system is infallible; but with a home security system in place it allows you greater peace of mind either when at home or away. Best of all, you can get on with enjoying family life and all that goes with it! 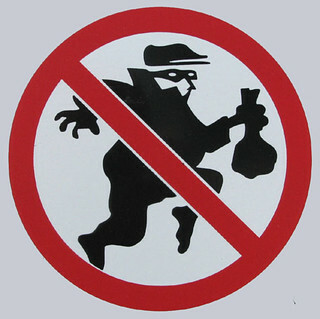 Burglars – What They DON’T Want You To Do!